All students are encouraged to request their transcripts online. Morton College has authorized Parchment as the provider for the managing, processing, and delivery of all transcripts. 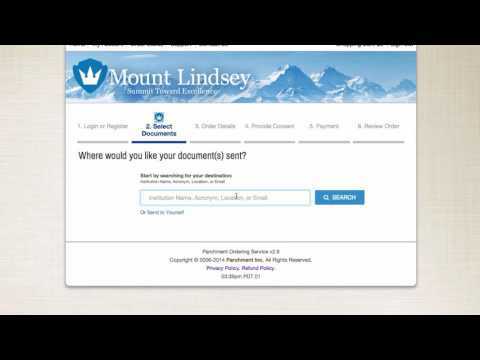 We know you will find the process of requesting online to be both easy and convenient. A permanent academic record of the student’s course completion and the semester in which the course was taken. It will contain grades earned, grade point average (GPA), and the type of degree or certificate awarded to the student. Unofficial transcripts can be viewed and printed through the Panther Portal - Panther Central Self-Service Menu->Academic Profile-> Transcripts. Currently enrolled students can log in to their Panther Portal and request official transcripts through Panther Central Self-Service Menu->Academic Profile-> Electronic Transcript Request. Students whose last enrollment occurred within the past three (3) years can log in to their Panther Portal and request official transcripts through Panther Central Self-Service Menu->Academic Profile-> Electronic Transcript Request. 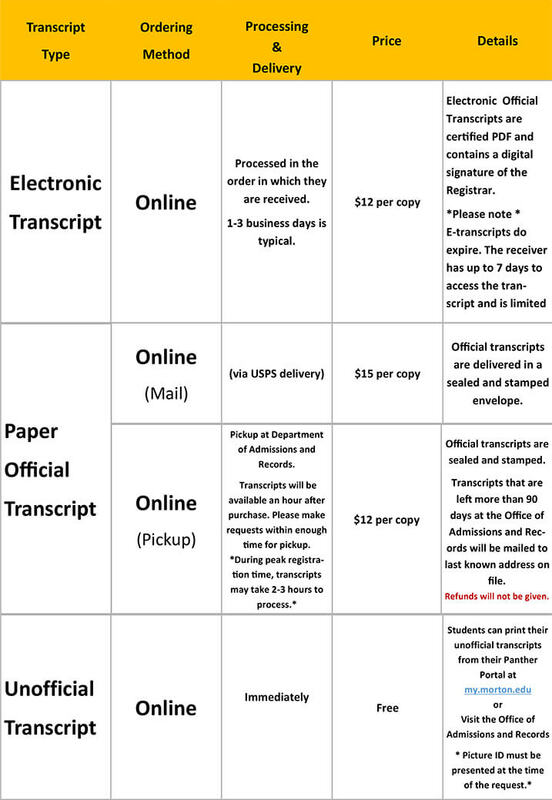 Students who have been away from the college for more than 3 years can place their order for official transcripts through the Parchment Exchange. Students who have earned credits prior to 1992 can place their request for official transcripts through the Parchment Exchange. Transcript requests for students who enrolled prior to 1992 may take 3-5 business days for processing. Reasons for placing ‘HOLD’ on your transcript request through the Parchment Exchange. Hold for Grades: transcripts will not be released until final grades have posted from the current semester. Hold for Degree: transcripts will not be released until degree has been awarded. Please note degrees are posted 6-8 weeks after the end of term in which the student petitioned. No refunds will be issued after requests are submitted. Please review your order before submitting.